Day 1 of peppers is in the bag. Or, in the dishwasher, as the case may be. I conquered my fears today and elected (yes, elected) to add green pepper to my lunch. For lunch, I had decided to have a stir-fry. (My brother-in-law had suggested this as a solution to my peppers dilemma.) Now, when I make stir-fry, it tastes like soy sauce with some crunchy bits. I thought that perhaps this was indeed a good medium through which I could begin my journey with green peppers. 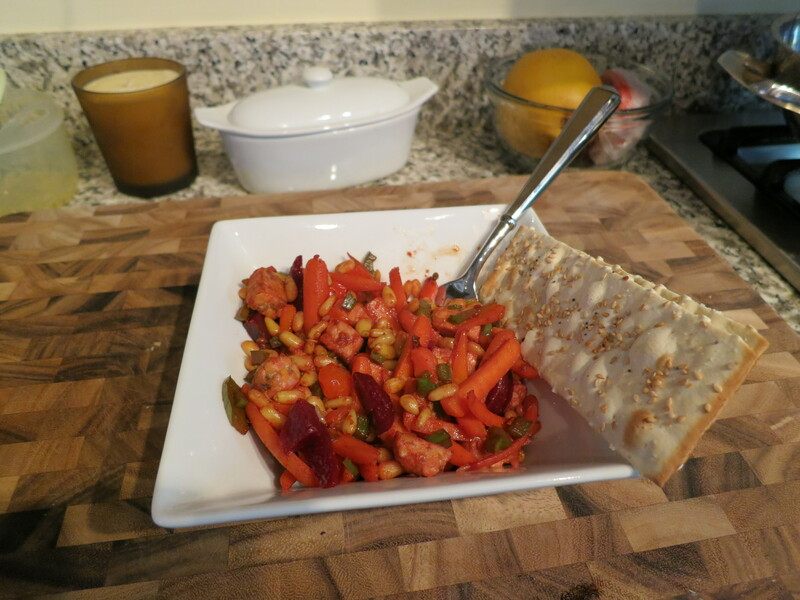 To my stir-fry, I also added carrots, beets, pine nuts, garlic, ginger and tempeh. I diced the peppers so that I a) wouldn’t get big chunks of pepper and b) wouldn’t be able to avoid eating them. All-in-all, I’d say it was successful. I couldn’t really taste the peppers and there weren’t many left at the bottom of the bowl when I was finished, so I must have eaten them. To be fair, I only used 1/4 of a pepper. Put in perspective, however, that’s quite an accomplishment for me. Here’s my question about stir-fries in general: Can you ever taste the ingredients? I’ve attempted stir-frying a couple of times in my relatively short cooking career and it doesn’t seem to matter how much or how little soy sauce and oil I use, I can never taste the vegetables that are in the stir-fry. It always just tastes like, I don’t know, stir-fry. It seems like I could use carrots and peppers or broccoli and pickles and it would still taste the same. Is it just me? Do I just not have the stir-fry gene? Suggestions about stir-frying are appreciated. I’d like to make more of them. They’re easy, quick and healthy. Also, when I make stir-fries, I get to use my super cool wok, which I won for being the 1000th customer at my supermarket six years ago. I had the same problem with my stirfries, so now instead of improvising the spices/sauce I add, I really search for a recipe. I made some Pad Thai today (you can find the recipe on my blog) and it was HEAVENLY! 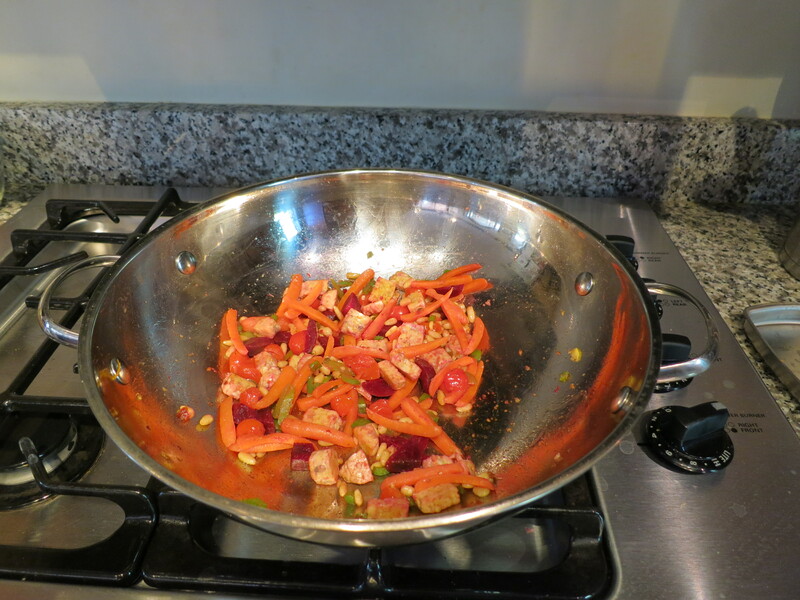 Finally a stirfry in which I could taste the different ingredients… Good luck!